It is happily brought into the notice that “Integrated Online Hotel Reservation System” of HPTDC has been awarded GOLD under category Cat-X- “Innovative use of Information Communication Technology by State Government PSU/ Cooperatives/ Federations/ Socities” for the National Award on e-Governance for the year 2015-16. GOLD is the first rank prize under individual category given by Ministry of Personnel, Govt. of India. The award was presented during the 19th National Conference on e-Governance held at Nagpur on 21st-22nd January, 2016. The award was received by Sh. Gopal Sood, Manager (IT), HP Tourism Development Corporation. The readers of the Lonely Planet Magazine have voted Himachal Pradesh as Best Indian Destination for Adventure for the year 2016. An award for this selection was presented by film celebrities in presence of Sh. Deepak Lamba CEO, Worldwide and Sh. Vardhan Kondvikar, Editor, Lonely Planet Magazine, India in a glittering award ceremony at Hotel St. Regis, Mumbai. The award was received by Sh. Anil Taneja, Sr. Manager, HP Tourism Development Corporation in presence of many renowned film celebrities like John Abrahim, Rahul Khanna, Suraj Pancholi, Siddharth Malhotra, Sana Khan, Claudia, Feminist Miss India and many more. The award for best International destination for Adventure has been given to New Zealand. Himachal is famous for many adventure activities like Trekking, Skiing, Camping, Ice Skating, Para-Gliding, Angling, River Rafting, Mountaineering, Mountain Cycling, Vehicle Safari & many more. The HPTDC is also planning to introduce many comprehensive packages in the coming days that will include boarding, lodging, transportation and many more adventure activities. The Chief Minister, Himachal Pradesh has congratulated the entire tourism Industry of the State for winning this award. 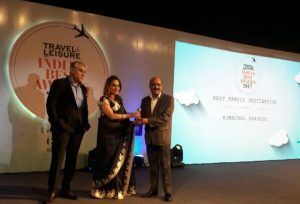 The CNBC, Travel Award, 2013 was given to Himachal Pradesh for Dharamshala Destination in the state category of ” Best mountain and hill destination” at Hotel Leela, Mumbai. The Award was received by Anil Kapoor, Manager, HP Tourism Development Corporation. The chief guest of the occasion was the then Hon’ble chief minister Sh. Prithviraj Chauhan and Sh. Chhagan Bhujbal the then Minister of Tourism. 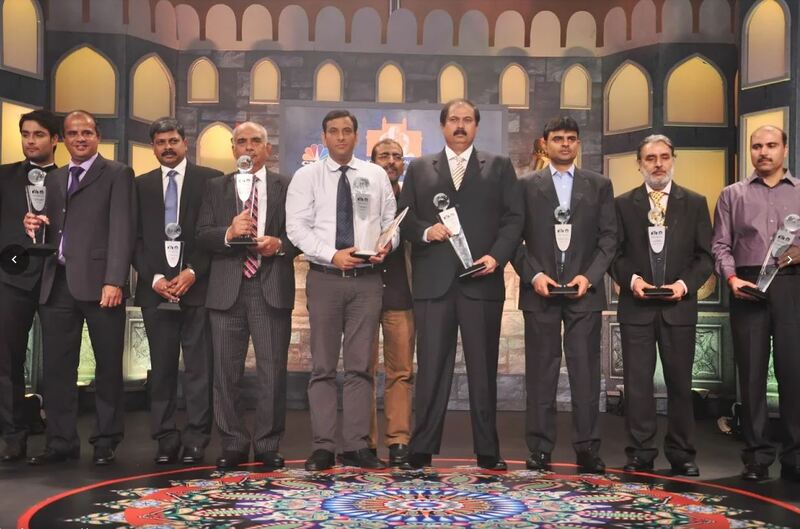 The CNBC Awaaz Travel Awards is an annual event hosted by CNBC Awaaz to honor the best in class travel destinations and other ancillary services of the tourism industry. The awards seek to recognize and honour the best in class destinations, organizations and service providers based on an objective study conducted by CNBC Awaaz across multimedia platforms. The awards are based on an exhaustive consumer response study conducted across the country, with over 10000 respondents across all segments. The core objectives of the award ceremony are to felicitate the best in the industry, identify India’s travel potential, unveil decision making criteria and understand the consumer mindset. They put into perspective the emerging trends in India’s tourism ranging from leisure, medical, adventure and heritage tourism. On its 11th Anniversary in the South Asian region, Travel + Leisure India & South Asia announced the results of its sixth edition of the India’s Best Awards. The polling was conducted through their website over a period of two months since September this year, which culminated in the announcement and Awards Ceremony at the Nandiya Gardens, ITC Maurya, New Delhi on 17th November, 2017. The award for the Best Family Destination was given to Himachal Pradesh.